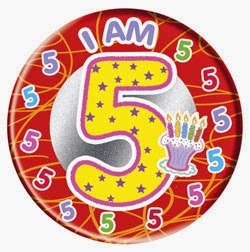 Empire of Books: 5th Blogiversary! GIVEAWAY! Congratulations on your blogiversary! 5 years is an incredible achievement. Congratulations! 5 years is a great achievement! Wow, five years of blogging?! That's so awesome. Congratulations!